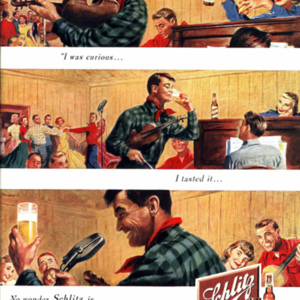 Full page ad for Schlitz beer that appeared in Newsweek magazine, August 21, 1950, attesting to the popularity of square dance in popular culture. Modern Western square dancers were not pleased to see square dancing depicted in beer ads, as dancers in many towns depended on the alcohol-free image of their activity for permission to use schools, churches, and other public spaces. In the 1950s and 1960s the major square dance magazines mounted letter-writing campaigns to get beer companies to withdraw their ads. 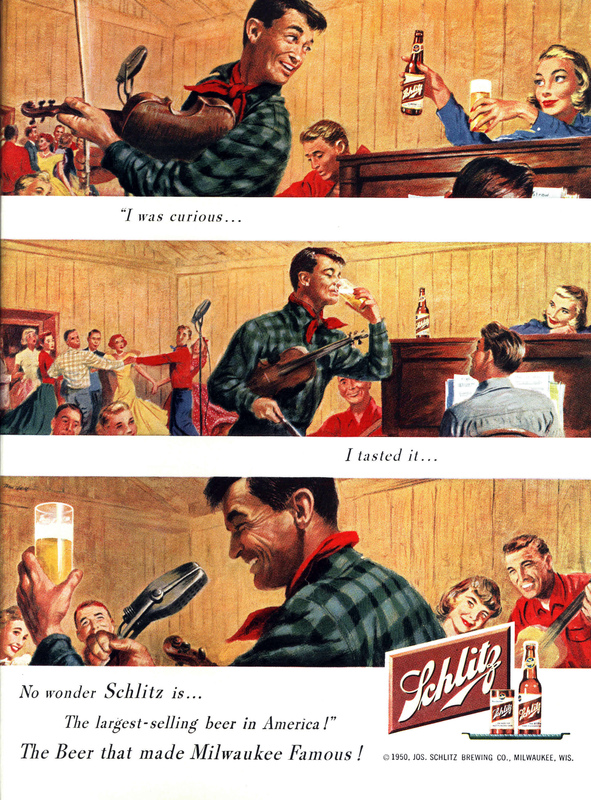 “Schlitz beer ad, 1950,” Square Dance History Project, accessed April 19, 2019, http://squaredancehistory.com/items/show/762.